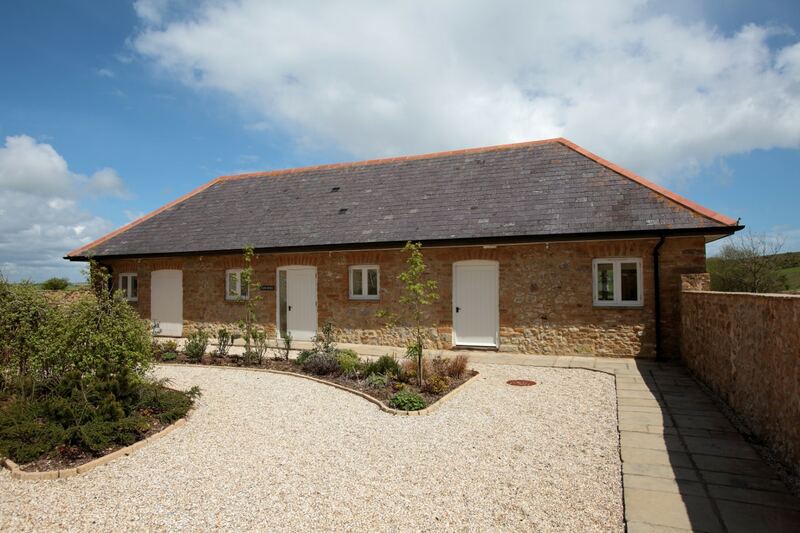 The Cow Byre is the smallest of three barn conversions at Wears Farm (The Stables, The Grain Store & The Cow Byre, which sleep 20 in total) just outside the delightful village of Abbotsbury and is set apart from the other cottages, with a very private garden and stunning views across the beautiful Dorset countryside. 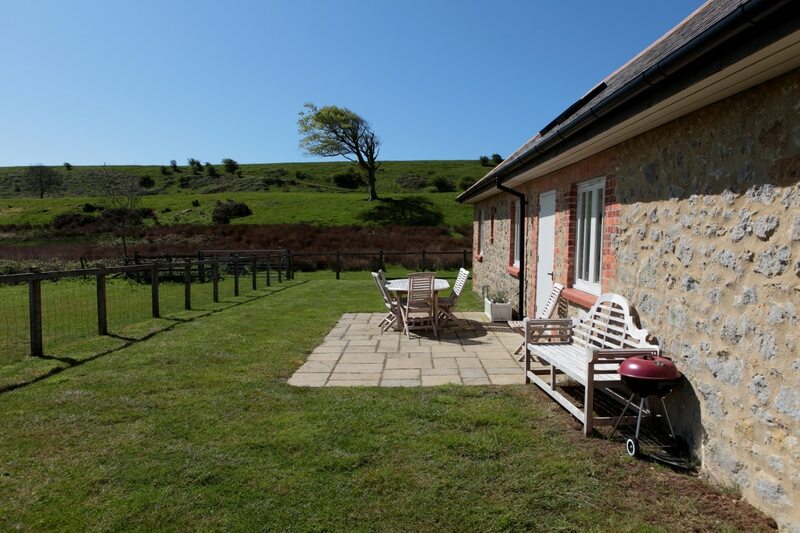 Guests can enjoy dinner or a drink on the furnished terrace looking towards the South Dorset Ridgeway with only sheep for company. 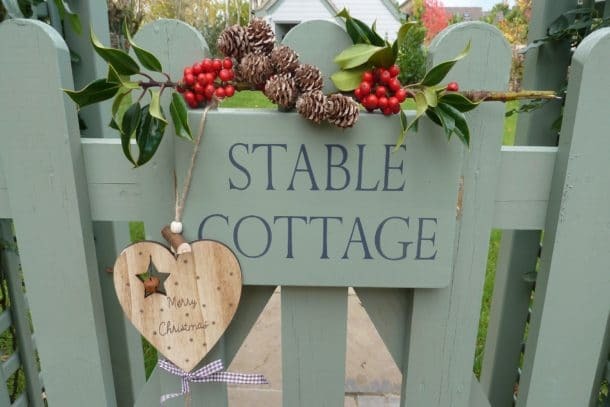 The property has been awarded a five star gold rating by Visit England. 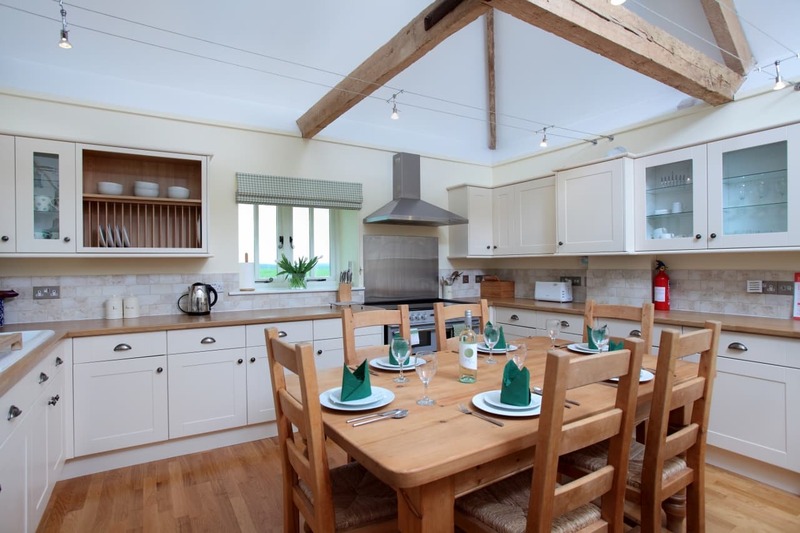 Sleeps 6 in 3 bedrooms (1 king ensuite, 1 double, 1 twin). 1 family bathroom. 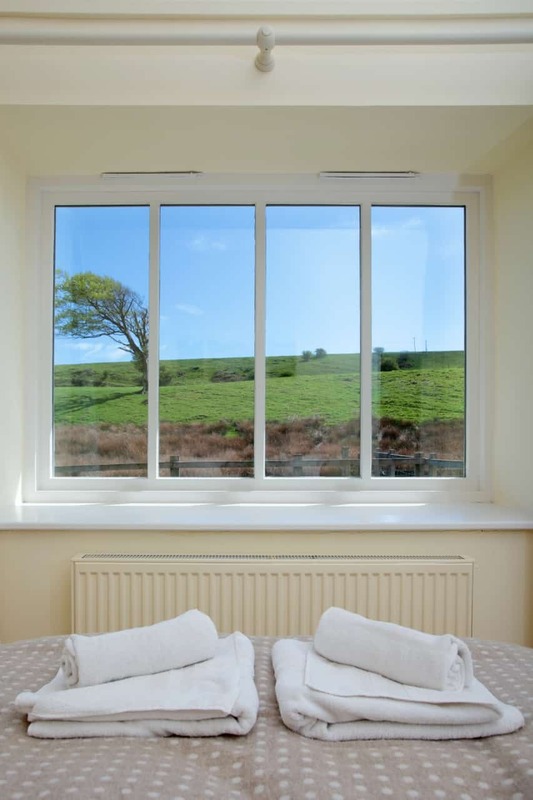 The accommodation is mostly arranged on the ground floor, with one king size ensuite bedroom on a mezzanine level. Open plan kitchen/living room. 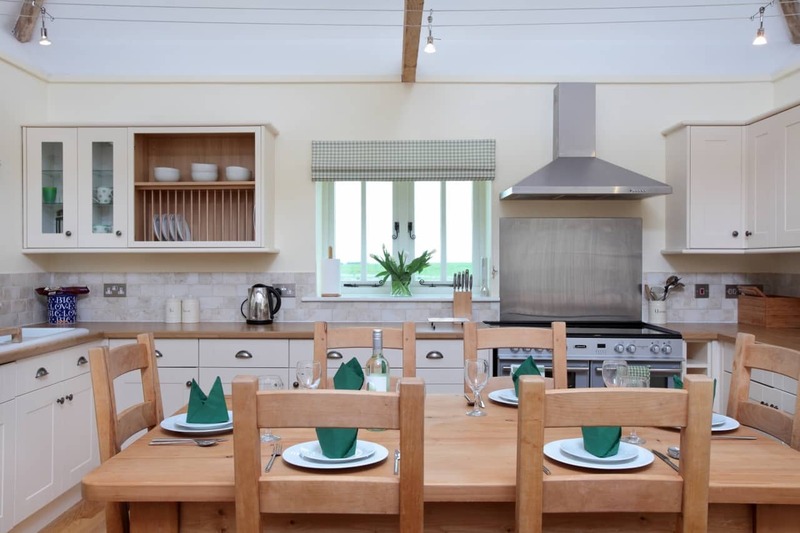 Well-equipped kitchen with range cooker, American fridge-freezer with icemaker and filtered water dispenser, dishwasher, washer/dryer and microwave. Solid wood dining table and chairs. Comfortable sofas, TV with DVD player and selection of DVDs, WiFi, Bluetooth speaker. A solid wooden door leads out to the enclosed garden and terrace with teak table and chairs. Charcoal BBQ provided during summer season. Family bathroom (shower over bath). 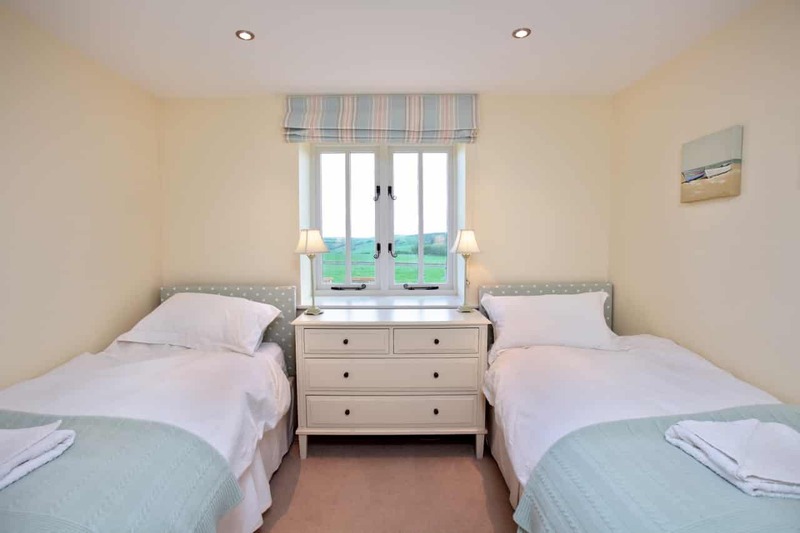 Twin bedroom with fitted wardrobe. 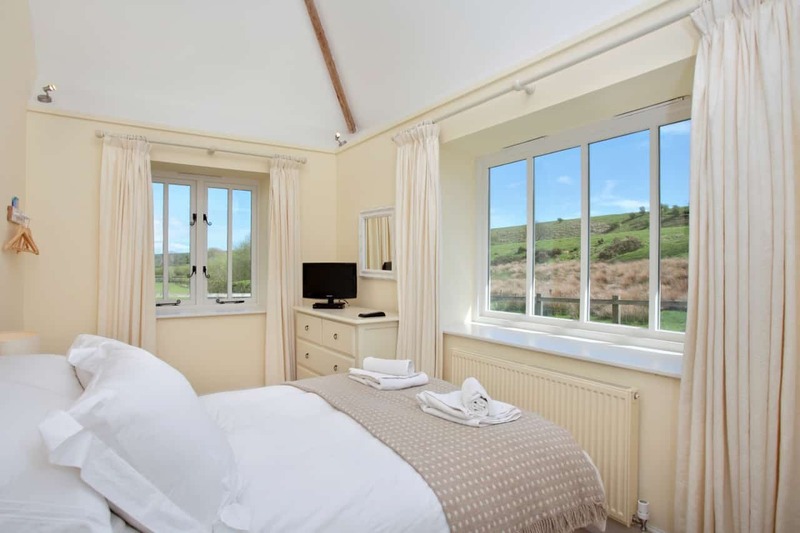 Double bedroom with wardrobe, TV and lovely hillside views. 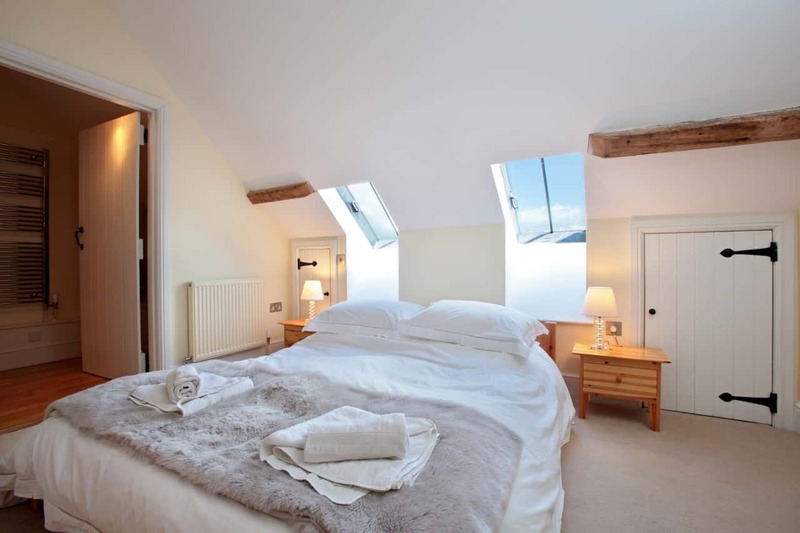 King size bedroom on mezzanine level with low level loft-style bed, TV and ensuite bathroom (no shower due to eaves). Chest of drawers and hanging pegs (no wardrobe due to eaves). All beds are dressed with luxurious, Egyptian cotton sheets and goose feather and down duvets and pillows.